January 26, 2002 – Ron’s Championship Wrestling in Knoxville: Scott Sterling b J.R. Straw Dog, Ric Cannon d J.T. Coleminer, Tim Reed and Perry White b Dr. Dan and Sammy V, Dirty White Boy DCOR Tim Reed, Buff Bagwell b 8 Ball Jones. By virtue of the stips in the main event, Terry Landel got his head shaved. There was controversy over whether Bagwell would work last night in Knoxville or Birmingham as he was advertised in both places. March 9, 2002 – Ron’s Championship Wrestling in Knoxville before 200 fans: Ric Cannon b J.R. Stardog, Mr. USA (Sammy V) DDQ Rush the Ruler, Tim Reed and Perry White b DG 2000 and J.T. Colminer, Stan Lee b Ricky Rocket, Dirty White Boy (Tony Anthony) and Jeff Anderson b Big Money Marcus (Mark Killer Kyle) and 8 Ball Jones. March 23, 2002 – Ron’s Championship Wrestling in Knoxville: JR Stardog b DG 2000, Ricky Rocket b Stan Lee-DQ, Big Money Marcus b Jeff Anderson, Dirty White Boy b 8 Ball Jones, Sammy V and Ric Cannon and J.T. Colminer and DG 2000 b Perry White and Lee and Rush the Ruler and Terry Landel. July 27, 2002 – Ron’s Championship Wrestling in Clinton, TN: DG 2000 b J.R. Stardog, Tom Pitner b Ric Cannon, Dirty White Boy b Big Money Marcus, Mr. USA and Jeff Anderson b Stan Lee and Stardog, Paul Ray b Tim Reed in chain match. Reed was managed by Ray’s ex-wife. September 15, 2002 – Ron’s Championship Wrestling in Knoxville: Sammy V and Ric Cannon b Scotty Sterling and Baghdad Bully, Dirty White Boy b Big Money Marcus, DG 2000 b Jonathan McMurray, Jeff Anderson b J.R. Stardog, Stan Lee b Buff Bagwell to win RCW title. November 16, 2002 – Ron’s Championship Wrestling in Knoxville: DG 2000 b Jonathan McMurray, Sammy V b J.R. Stardog, Big Money Marcus and Jeff Anderson b Ric Cannon and DG 2000, Stan Lee b Dirty White Boy, Ricky Morton b Tommy Rich-DQ. November 23, 2002 – Ron’s Championship Wrestling in Maryville, TN: Dusty Sharp b Jonathan McMurray, J.R. Stardog b DG 2000, Sammy B b Scott Sterling, Jeff Anderson and Big Money Marcus b Ric Cannon and Dusty sharp (winners wrestle Ricky Morton and Robert Gibson on Thanksgiving in Knoxville), Dirty White Boy b Stan Lee. December 14, 2002 – Ron’s Championship Wrestling in Knoxville: DG 2000 b Nightmare (not Ted Allen), Sammy V and Jonathan McMurray b Ric Cannon and J.R. Stardog, Big Money Marcus b Dirty White Boy-DQ, Jeff Anderson b Executioners in handicap match. December 28, 2002 – Ron’s Championship Wrestling TV Taping in Knoxville with Les Thatcher doing commentary and bringing in several HWA wrestlers with him – 1/4: DG 2000 b J.R. Stardog, Dirty White Boy and Cody Hawk b B.J. Whitmer and Big Money Marcus-DQ, 1/11: Sammy V NC Cody Hawk, Dirty White Boy b Jeff Anderson-DQ; 1/18: Whitmer and Marcus b Ric Cannon and DG 2000, Jeff Anderson b Stardog-DQ, 1/25: Matt Stryker b Cody Hawk, Whitmer and Jeff Andedrsno b Cannon and DG 2000. January 4, 2003 – Ron’s Championship Wrestling in Knoxville: DG 2000 b Dusty Sharp-DQ, Ric Cannon b Shogun, Stan Lee b Sammy V-DQ, Big Money Marcus b Mike Hanson, Stardog b Jeff Anderson. January 11, 2003 – Ron’s Championship Wrestling in Knoxville: Jonathan McMurray b Dusty Sharp, DG 2000 b Eddie golden-DQ, Sammy V b Stan Lee, Big Money Marcus b Mike Hanson, Jeff Anderson and Stan Lee b Sammy V and DG 2000. February 8, 2003 – Ron’s Championship Wrestling TV taping in Knoxville before 200 fans: DG 2000 b Dusty Sharp, Big Money Marcus b Ric Cannon, Dirty White Boy and Tim Horner b Jonathan McMurray and Dusty Sharp, Marcus b DG 2000, White Boy b Jeff Anderson, Anderson b Sharp, Ric Cannon b DG 2000. March 15, 2003 – Ron’s Championship Wrestling in Knoxville for a TV taping: Ric Cannon b The Judge, Rob Adonis DDQ Big Money Marcus, Jeff Anderson b Dirty White Boy to win RCW title, Tsumoni Warrior b DG 2000, Jeff Anderson b Ric Cannon, Stan Lee b J.R. Stardog, Willie B. Badd and Jason Maxx b Jonathan McMurray and Sammy V, Jeff Anderson b Rob Adonis. March 22, 2003 – Ron’s Championship Wrestling in Knoxville: DG 2000 b J.R. Stardog, Sammy V and Jonathan McMurray b Willie B. Badd and Jason Maxx, Ric Cannon b Stan Lee, Mitch Ryder b Todd Morton, Rob Adonis b Brian Alexander. March 29, 2003 – Ron’s Championship Wrestling in Knoxville: Jonathan McMurray d Dusty Sharp, Willie B. Badd b Sammy V, Ric Cannon b Sumoni Warrior, Badd and Jason Maxx b V and McMurray, Stan Lee b Jeff Anderson-DQ. May 10, 2003 – Ron’s Championship Wrestling TV Taping in Knoxville: Jonathan MacMurray b DG 2000, Dirty White Boy b John Dalton, Jeff Anderson b Rob Adonis, David Anderson b Ric Cannon, Sammy V b J.R. Stardog, Sonny Siaki b Brian Alexander, Ric Cannon b John Dalton, Jeff Anderson b Sonny Siaki-DQ. May 31, 2003 – Ron’s Championship Wrestling in Knoxville: Sammy V d Ric Cannon, David Anderson b DG 2000, Jeff Anderson b Jonathan McMurray, Sammy V and DG 2000 and Jonathan MacMurray b Ric Cannon and David and Jeff Anderson. June 28, 2003 – Ron’s Championship Wrestling in Knoxville: Ric Cannon b L.A. Thunder, J.R. Stardog b DG 2000, Jeff Anderson b Jonathan MacMurray, Anderson and Stardog NC Sammy V and Mac Murray. July 25, 2003 – Tennessee Mountain Wrestling (Formerly Ron’s Championship Wrestling) in Knoxville: Jonathan Mac Murray b Willie B. Badd, Rob Adonis and Sammy V b Stan Lee and Mike Hanson, Dirty White Boy b Terry Landel in street fight, Jeff and David Anderson b Mac Murray and DG 2000, Andersons b Ric Cannon and Lee Thomas, Rob Adonis and Sammy V b Andersons to win tournament to become TMW tag champs. July 26, 2003 – Tennessee Mountain Wrestling in Clinton, TN at the Anderson County Fair: DG 2000 b Jonathan McMurray-DQ, Willie B. Badd DCOR David Anderson, Stan Lee and Mike Hanson b Ricky Rocket and Sammy V, Dirty White Boy b Jeff Anderson, David Anderson won blindfold Battle Royal. August 9, 2003 – Tennessee Mountain Wrestling in Knoxville: Jonathan MacMurray b DG 2000, Jeff Anderson b Ric Cannon, Dirty White Boy b David Anderson, Lee and Hanson b Sammy V and Ric Cannon, Dirty White Boy won Battle Royal. August 16, 2003 – Tennessee Mountain Wrestling in Knoxville: Ric Cannon b Memphis Mafia #2, Sammy V b Memphis Mafia #1-DQ, Dirty White Boy b Scott Patterson, Memphis Mafia b V and Cannon. August 23, 2003 – Tennessee Mountain Wrestling in Knoxville: Lance Gaylord b Cruiser Lewis, Lance Erickson DCOR Steve Chronic, Jeff Anderson b Kountry Boy Sam, Stan Lee and Mike Hanson b Sammy V and Ric Cannon, Dirty White Boy b Norton Lewis. August 26, 2003 – Tennessee Mountain Wrestlingin Tazwell, TN: Dr. Dan b DG 2000, Sammy V and Lance Erickson b Stan Lee and Mike Hanson, DG 2000 b Jonathan MacMurray, Jeff Anderson b Sonny Siaki, Lance Erickson won blindfold Battle Royal. September 14, 2003 – Tennessee Mountain Wrestling in Knoxville at the Fair: DG 2000 b Nightmare (Ted Allen), Dirty White Boy b Bull Buchanan (Bob Orton Jr. was in Bull’s corner), Jonathan Mac Murray b J.R. Stardog, Sonny Siaki b Jeff Anderson, Stan Lee and Mike Hanson b Sammy V and Ric Cannon, DG 2000 won blindfold Battle Royal. September 20, 2003 – Tennessee Mountain Wrestling in Knoxville: Mike Hanson b DG 2000, Jonathan MacMurray b Steve Chronic, Stan Lee b Southside Sam, Norton Lewis b Jeff Anderson-DQ, Sammy V and Ric Cannon b Scott Sterling and Donnie Dallas, Dirty White Boy b Norton and Cruiser Lewis in handicap match. November 1, 2003 – Tennessee Mountain Wrestling in Knoxville, TN: New Grappler b DG 2000, Ric Cannon b Wicked-DQ, Deon Johnson b J.R. Stardog, Sammy V and Ric Cannon b Norton Lewis and Wicked, Dirty White Boy b Sonny Landel (they did the ether on a towel spot after the match on White Boy and put him in a hearse and drove him off. At the start of the show, Terry Landel said if he didn’t put White Boy in the hearse he would jump off the Henly Street Bridge. November 8, 2003 – Tennessee Mountain Wrestling in Knoxville: Dr. Dan b Grappler, Sammy V and Ric Cannon b Stan Lee and Mike Hanson-DQ, Norton Lewis won three-way over Black Angel and Player, Dirty White Boy b Ice. November 15, 2003 – Tennessee Mountain Wrestling in Knoxville: Ric Cannon d Stan Lee, Dr. Dan b Black Angel, Sammy V and Ric Cannon b New Grappler and Ice, Jeff Anderson b Deon Johnson, Dirty White Boy b Lance Erickson (the latest Terry Landel mystery opponent). November 22, 2003 – Tennessee Mountain Wrestling in Knoxville: Dr. Dan b New Grappler, Stan Lee NC Player, Sammy V and Ric Cannon b Norton and Cruizer Lewis-DQ, Jeff Anderson b Mike Hanson, Dirty White Boy b Lance Erickson. November 27, 2003 – Tennessee Mountain Wrestling in Knoxville: Jeff Anderson b J.R. Stardog, Lance Erickson b Ric Cannon, Sammy V b Stan Lee, Dirty White Boy b Jeff Anderson in a cage match, White Boy b Lance Erickson in a cage match, White Boy b Terry Landel in a cage match. November 28, 2003 – Tennessee Mountain Wrestling from Knoxville: New Grappler b Dr. Dan-DQ, Norton Lewis b Scott Sterling, Cruizer Lewis b Chaos, Chaos and Blue Devil b Lewis Brothers-COR, Jeff Anderson b Lance Erickson. November 29, 2003 – Tennessee Mountain Wrestling from Knoxville: Black Angel b New Grappler, Chaos b Ice, Lance Erickson b Deon Johnson, Lewis Brothers b Mike Hanson and Stan Lee, Dirty White Boy b Jeff Anderson. Bob Orton Jr worked last night in a commissioner role and awarded the heavyweight title to Lance Erickson. December 20, 2003 – Tennessee Mountain Wrestling in Knoxville before 150 fans: Jett Christian b Chris Hamrick, Sammy V and Ric Cannon b Scott Patterson and Jonathan MacMurray, Dr. Dan b Ravishing Randy, Stan Lee and Mike Hanson b Jason Thunder and Chris Gorgeous, Jeff Anderson and Dirty White Boy b Lance Erickson and Brian Lee (mystery man). Ron Wright, a Tennessee legend, was there and gave a speech before the show. He also gave Dirty White Boy a chair in the main event. December 25, 2003 – Tennessee Mountain Wrestling in Knoxville before 125 fans: Jonathan MacMurray d New Grappler, Mike Hanson b Scott Patterson, Sammy V b J.R. Stardog, Jeff Anderson and Dirty White Boy b Lance Erikson and Terry Landel in a cage match. January 17, 2004 – Tennessee Mountain Wrestling in Knoxville before 150 fans: Doc Johnson b New Grappler, Eric Darkstorm b Shane Matthews, Sammy V and Ric Cannon b Stan Lee and Mike Hanson, Jett Christian b Chris Vega, Jeff Anderson b Johnny Blast, Lance Erikson b Dirty White Boy. February 14, 2004 – Tennessee Mountain Wrestling TV Taping in Knoxville before 160 fans: Sammy V b Stan Lee, Ric Cannon b Mike Hanson-DQ, Dirty White Boy b New Grappler, Lee and Hanson b Sammy V and Cannon. March 13, 2004 – Tennessee Mountain Wrestling TV Taping in Knoxville: Ric Cannon b J.R. Stardog, Sammy V and Ric Cannon b Memphis Mafia, Jack Miller b New Grappler, Dirty White Boy b Lance Erikson. Doug Gilbert no-showed. March 20, 2004 – Tennessee Mountain Wrestling (All-womens Show) in Knoxville before 200 fans: A.J. Sparxx b Helena Heavenly, Lexie Fyfe b Fantasy, Syren and Malia Hosaka b Brandi Wine and Christie Ricci, Bambi b Peggy Lee Leather in a cage match. March 27, 2004 – Tennessee Mountain Wrestling in Knoxville before 130 fans: Jack Miller b Memphis Mafia #1-DQ, New Grappler b J.R. Stardog, Brad Richter b Elijah O’Mally, Scott Sterling b Donnie Dallas, Sammy V and Ric Cannon b Memphis Mafia, Lance Erikson b Dirty White Boy to win TMW title. April 3, 2004 – Tennessee Mountain Wrestling TV Taping in Lenoir City, TN: New Grappler b Jonathan MacMurray, Brad Richter b Elijah O’Malley, Sammy V and Ric Cannon b Memphis Mafia, Kid Apollo b J.R. Stardog, Dirty White Boy b Memphis Mafia #2-DQ, Jack Miller b Lance Erikson. April 24, 2004 – Tennessee Mountain Wrestling TV Taping in Knoxville: Brad Richter b Scotty McKeever, Memphis Mafia b Sammy V and Ric Cannon to win TMW tag titles, Lance Erikson b Agent Orange, Dirty White Boy b War Machine. May 8, 2004 – Tennessee Mountain Wrestling TV Tapings in Knoxville, Tennessee: Brad Richter b Jonathan MacMurray, Juicer b War Machine, Memphis Mafia b Richter and MacMurray, Ric Cannon b Sammy V, Dirty White Boy b Lance Erikson. July 24, 2004 – Tennessee Mountain Wrestling in Knoxville, Tennessee before 100 fans: J.R. Stardog b Mike Powers, Jonathan MacMurray b New Grappler, Ric Cannon b Sammy V, Memphis Mafia b Tim Reed and Stardog, Dirty White Boy b Chris Powers. August 31, 2004 – Tennessee Mountain Wrestling in Tazwell, Tennessee: Grappler b Jonathan MacMurray, Sammy V b Ric Cannon, Tennessee Hillbillies b J.R. Stardog and Grappler, Tim Reed and Angel Williams b Stan Lee and ODB, Dirty White Boy b Chris Powers in cage match. September 19, 2004 – Tennessee Mountain Wrestling in Knoxville, Tennessee: Tim Reed b Mike Powers, Grappler b Jonathan MacMurray, Tennessee Hillbillies b Scott Sterling and Nightmare Ted Allen, Sammy V b J.R. Stardog, Brad and Scott Armstrong b Stan Lee and Ric Cannon to win TMW tag tiles, Dirty White Boy b Chris Powers to keep TMW title. October 9, 2004 – Tennessee Mountain Wrestling in Knoxville, Tennessee: Grappler b Jonathan MacMurray, Sammy V b Tom Pitner, MacMurray b J.R. Stardog, Tennessee Hillbillies b Stan Lee and Ric Cannon, Jeff Anderson (subbing for Dirty White Boy, who was too ill to work, but did drive his SUV into the building with Anderson as his replacement) NC Chris Powers. October 23, 2004 – Tennessee Mountain Wrestling in Knoxville, Tennessee: JR Stardog b DG 2000, Tennessee Hillbillies b Grappler and Tom Pitner, Sammy B b Scott Sterling, Chris Powers b Jeff Anderson, Bob and Scott Armstrong b Stan Lee and Ric Cannon. November 6, 2004 – Tennessee Mountain Wrestling in Knoxville, Tennessee: Grappler b DG 2000, Tim Reed b JR Stardog, Sammy V b Mike Hanson, Chris Powers and Tom Pitner b Justin Karma and Tim Reed, Jeff Anderson b Ric Cannon-DQ. 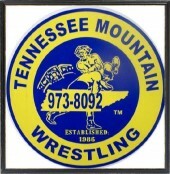 November 25, 2004 – Tennessee Mountain Wrestling in Knoxville, Tennessee before 200 fans: Tom Pitner won three-way over Mike Hanson and Tim Reed, Sammy V b Ric Cannon, Scott Armstrong b Stan Lee, Chris Powers b Jeff Anderson in a cage match, Terry Landel b Bob Armstrong in a cage match. Landel would have to throw $5,000 to the crowd if he lost, and you knew that wasn’t happening. Chris Powers hit Bob with a blackjack. November 27, 2004 – Tennessee Mountain Wrestling in Knoxville, Tennessee: Howie Gibson b J.R. Stardog, Tom Pitner b Sammy V, Ric Cannon b Tim Reed, Dirty White Boy and Jeff Anderson b Chris Powers and Mike Hanson. Bob Orton was interfering heavily in the main event and they were building up him vs. White Boy. December 18, 2004 – Tennessee Mountain Wrestling in Knoxville, Tennessee: Chris Powers b Howie Gibson, Scott Patterson b Grappler, Tennessee Hillbillies b Stan Lee and Mike Hansen, Powers and Jeff Anderson were winners in separate ring Battle Royals, Anderson b Powers, Anderson and Dirty White Boy b Searcher and Christian Hayes (from Midwest Powerhouse Wrestling). Bob Orton Jr. worked the show as commissioner. December 25, 2004 – Tennessee Mountain Wrestling in Knoxville, Tennessee before a sellout 150 fans: Grappler d Howie Gibson, Sammy V b Lance Ericson, Tom Pitner b Howie Gibson, Chris Powers b Dirty White Boy to win TMW title. January 1, 2005 – Tennessee Mountain Wrestling in Knoxville, Tennessee before 180 fans: Howie Gibson b Mike Hanson, Brad Thomas b Scotty McKeever, Ric Cannon and Tom Pitner b Dave Scott and Sammy V, Lance Ericson b Dirty White Boy, Chris Powers b Buff Bagwell. January 8, 2005 – Tennessee Mountain Wrestling in Knoxville, Tennessee before 125 fans: Howie Gibson b Mike Hanson, Grappler b J.R. Stardog, Ric Cannon b Mr. USA, Dirty White Boy and Howie Gibson b Tom Pitner and Mike Hanson. January 15, 2005 – Tennessee Mountain Wrestling in Knoxville, Tennessee before 120 fans: Howie Gibson b Grappler, Christian Hayes (managed by Bob Orton) b Kid Camilion, Searcher b Sammy V, Norton Lewis b Donovan Cruise to win Acton X TV title, Mike Hanson and Tom Pitner b Cruizer Lewis and Howie Gibson. January 22, 2005 – Tennessee Mountain Wrestling in Knoxville, Tennessee before 210 fans: Howie Gibson b Stan Lee, Sammy V b Mike Hanson, Dirty White Boy b The Grappler (now how does he beat himself? ), Tom Pitner and Ric Cannon b Bob and Scott Armstrong to win TMW tag titles Chris Powers b Road Dogg Jesse James to keep TMW title. January 29, 2005 – Tennessee Mountain Wrestling in Knoxville, Knoxville before 100 fans: Grappler b J.R. Stardog, Howie Gibson b Mike Hanson, Sammy V d Stan Lee, Ric Cannon and Tom Pitner b Tennessee Hillbillies to keep tag titles, Dirty White Boy b Mike Powers. February 5, 2005 – Tennessee Mountain Wrestling in Knoxville, Tennessee before 150 fans: Mike Hanson b Barry Alen, Stan Lee b Sammy V, Tom Pitner and Grappler b Blue angel and Scott Patterson, Chris Powers b Dave Pillman, Dirty White Boy DDQ Brian Lee. February 12, 2005 – Tennessee Mountain Wrestling in Knoxville, Tennessee before 200 fans: Scott Sterling b Grappler, Howie Gibson b Dave Pillman, Sammy V b Donnie Dallas, Ric Cannon and Tom Pitner b Tennessee Hillbillies, Chris Powers b Bryan Allen, Dirty White Boy b J.R. Stardog, Dirty White Boy b Brian Lee to keep TMW title when Bob Orton’s interference backfired. Orton was a heel and is trying to pay 50% of the promotion from Ron Wright. February 19, 2005 – Tennessee Mountain Wrestling in Knoxville, Tennessee before 220 fans: Mike Hanson b J.R. Stardog, Grappler b Barry Allen, Ric Cannon b Howie Gibson, Donnie Dallas and Dave Pillman b Scott Sterling and Sammy V, Dirty White Boy b Tom Pitner when special ref Ron Garvin KO’d Pitner. February 26, 2005 – Tennessee Mountain Wrestling in Knoxville, Tennessee before 125 fans: Mike Hanson b The Grappler, Dave Pillman b Barry Allen, Chris Powers b Stan Lee, Tom Pitner and Ric Cannon b Sammy V and Howie Gibson, Dirty White Boy b Brian Lee to keep TMW title. March 5, 2005 – Tennessee Mountain Wrestling in Knoxville, Tennessee before 175 fans: Grappler b Barry Allen, Howie Gibson b Dave Pillman, Sammy V b J.R. Stardog, Ric Cannon and Tom Pitner b Bob and Scott Armstrong to keep TMW tag titles, Dirty White Boy b Chris Powers by DQ. March 12, 2005 – Tennessee Mountain Wrestling in Knoxville, Tennessee before 120 fans: Dave Pillman b Barry Allen, Howie Gibson b Mike Hanson, Sammy V b Pillman-DQ, Tom Pitner and Mike Hanson b Sammy V and Howie Gibson, Dirty White Boy b Chris Powers to keep TMW title. April 7, 2007 – Tennessee Mountain Wrestling in Knoxville, Tennessee at the National Guard Armory: Sammy V b Dustin Sharp, Howie Gibson b Robert Wilson, Crazy and Brandon Daniels b J.T. Coalminer and Skull to retain the TMW Tag Team titles, John Justice b Evan Turner to retain the TMW Heavyweight title, Johnny Rokk b Jimmy Golden in a #1 Contenders match.